Part of the Elizabeth Hartman for Robert Kaufman Reef Collection - AZH-16974-345 - Cypress. Kona coordinated 100% Cotton; Machine Washable. 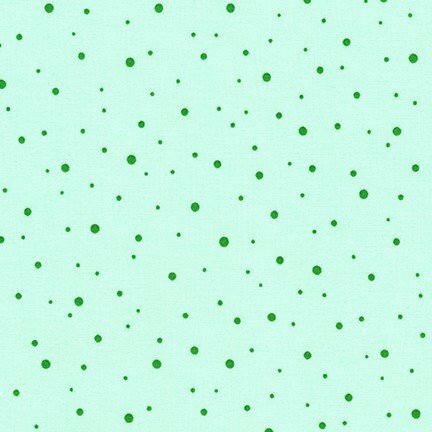 Light green fabric with darker green polka dots.